Color #33 Clip-In Hair Extensions of Euro Collection Luxury Cuticle Hair is made to perfectly match most European hair texture! 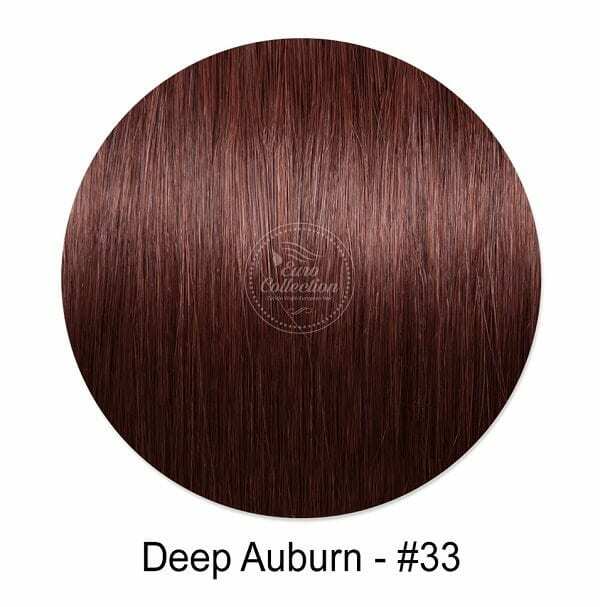 The Deep Auburn is a beautiful Auburn color. #33. Get FREE Euro Collection LUXURY Storage Case and Hanger on your First Order! The set comes in a 10 piece set, which ensures that your entire head is covered. The clips contain a silicone strip so your hair is protected and you can enjoy your awesome luscious locks. A product of 100% Remy Cuticle Human Hair. You can reuse this for long period, up to a year or more depending on how well you care for them and how often you use them. 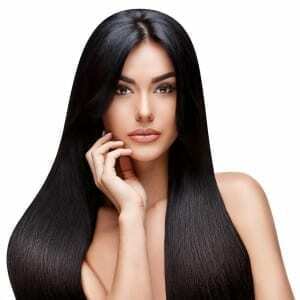 Just like your natural hair, blow-dried, flat-ironed, curled, and styled with hot styling tools. .
We do not recommend bleaching these hair extensions but you can make it darker with deposit color. The Deep Auburn – Color #33 Clip-In Hair Extensions of Euro Collection hair are made with a multi-tone adapt coloring system. This ensures that the extensions perfectly blend with your own hair, even if your hair is slightly different than the extensions. 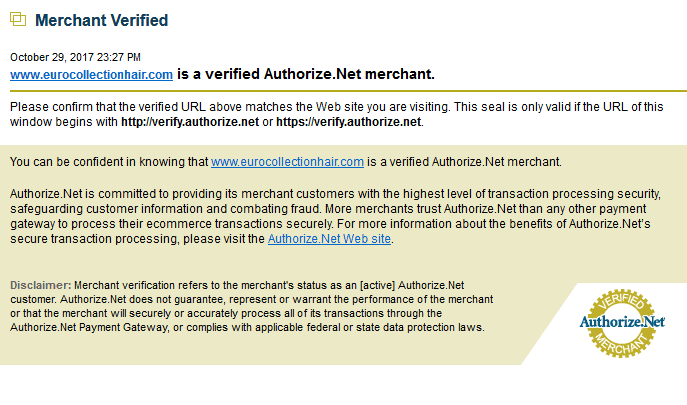 NOTE Regarding Back-order: Items will be available within 2 to 6 weeks of your order. I just bought these auburn clip-ins and I must say, it’s a great quality for the price. In fact, no one had ever noticed that it’s not my real hair when I’m wearing it. I actually have very thin hair, so I bought 3 sets for a much fuller look. I mostly wear 2 sets but for more glamour, I wear 3 sets. I make sure to also brush the extensions every night once I take them out to avoid tangles. I really love that it does not entangle so at all which is a sign of less quality hair and often damages cheaper extensions. When my real hair gets long and I’m beginning to have split ends, I cut it. I became reliant on hair extensions which is why I need good quality clip-ins. When my friends ask me which salon I go to, I recommend this to them and they are loving it as well. 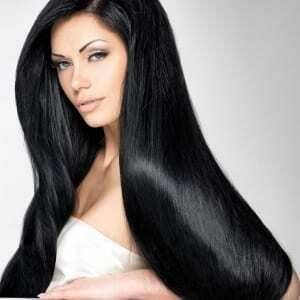 The product is not baby doll shiny which often shows how fake other hair I have used it on my hair. This hair is soft and long allowing me to style it the way I want.